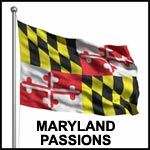 By voting on the books listed, you can help to determine whether a book is related to the theme of Maryland Passions, or whether it is a non-related, but popular, book among the members of the site. If you believe a book in the list below is 'on theme' with Maryland Passions, vote that it is relevant. (If you don't know, just skip it.) Over time, we hope to have a library of books that should be of interest to Maryland Passions members. Struggling with a split personality that renders her shy and repressed on one side and promiscuous and brazen on the other, Jonquinette seeks psychiatric counseling, but her progress is impeded by her alter ego's determination to survive.